ARCATA – On Thursday, Jan. 3 at about 12:21 p.m., the Arcata Police Department received a report that a cat had been brought to the Humboldt County Animal Shelter with a blow dart impaled into its chest cavity. 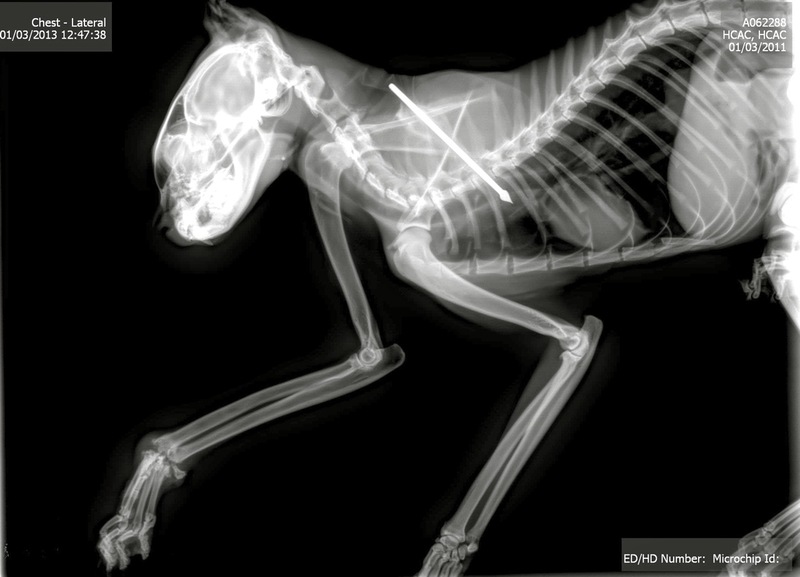 The cat was immediately transported to a local veterinarian clinic, where the dart was removed. The cat’s prognosis is good and it is expected to fully recover. The cat had been located by a Good Samaritan in the 2300 block of Baldwin Avenue and transported to the animal shelter. The Arcata Police has initiated a case for animal cruelty and is actively investigating leads. 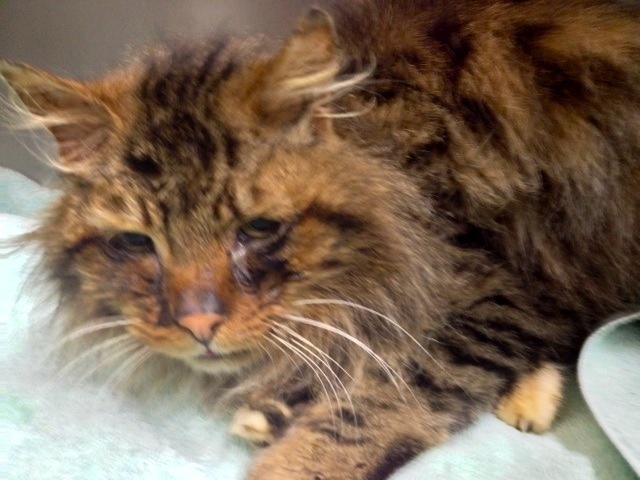 The animal shelter staff reported that the cat is an unneutered, older male Tabby Cat with a friendly disposition. The identity of the cat’s owner is not known. The Arcata Police Department is asking anyone with information about the cat’s ownership, or information about the cat’s injury, to contact the department at (707) 822-2428. This entry was posted on Friday, January 4th, 2013 at 11:41 am	and is filed under News. You can follow any responses to this entry through the RSS 2.0 feed.